Minimum Tank Size- 30 gallonsBlack Onyx True Percula Clown fish come from the reefs of Papua New Guinea. 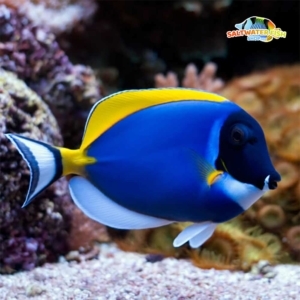 They are hard find in the trade and are a beautiful species of clownfish. They have classic patterns of black, white and orange. 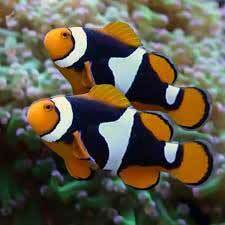 The Black Onyx True Percula Clownfish requires an aquarium of 30 gallons plus with plenty of live rock. Always be sure that your aquarium and lighting system will support the needs of the host anemone before incorporating one into the aquarium. 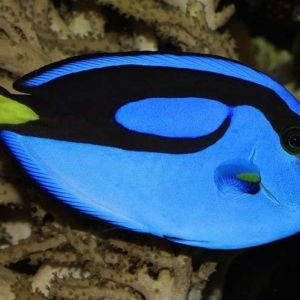 The Percula Clownfish, like several other clowns, can be bred in the aquarium and is one of the most common “starter” fish for saltwater breeders. 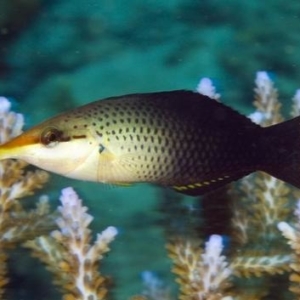 They will typically spawn within the proximity of the base of the host anemone. In nature, the Percula Clownfish is an omnivore. Offer a varied diet vitamin enriched brine shrimp and a quality flake food. 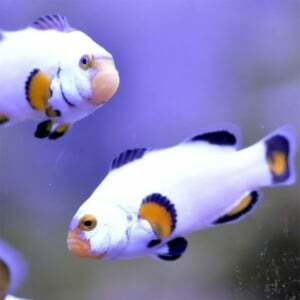 Searching for a black onyx percula clownfish for sale? We’ve got some spectacular captive bred black onyx percula clown fish for sale online!